Tomorrow I fly off to lead a group of 47 pilgrims in a tour of Israel. Half the members are from our church, the other half are their friends and a group from another church. Its going to be an exciting time. We go to pray and to bless Israel, and certainly be blessed as well. Blessed to see what was once not a nation now a nation; blessed to hear Hebrew, once dead but now a living language; blessed to feel how Old Testament prophecies have been fulfilled, and God’s faithfulness revealed. All this will be energizing for us. This is also the land where Jesus lived, moved and ministered. Here He was born; here He died and rose again. Here is where He will return in glory. I’m excited. Do pray for us. Before I go off I wanted to write this reflection on the second part of Joseph Prince’s book. If you have his book and it is lying on the shelf somewhere why don’t you read this particular part and help contribute some thoughts on how the book has helped you. You can share what you like or do not like in the book, and discuss more deeply some of the ideas in this part which covers chapters 4, 5 and 6. Imagine you are in a reading club and we are all reading this stuff together to discuss it on this platform instead of face to face. Play the Right Mental Movies (chapter 4) – The central idea is that we have a tendency to look at the negative and this creates fear in our hearts. We play the wrong kind of mental movies. And fear like a boa constrictor suffocates us to death. We cannot get rid of such fearful ideas. The best way is to replace them. Replace them with God’s truth and right belief. See Yourself As God Sees You (chapter 5) – Here Prince introduces the doctrine of justification in its practical implications. A great exchange has taken place. Jesus took our sins. We received his gift of righteousness. When God looks at us He sees Jesus’ righteousness and not our failures, sins, weaknesses. He looks at us and He sees a child of God deserving of favor, blessing and approval. You Are Irreversibly Blessed (chapter 6) – Prince takes the Old Testament story of Balaam paid by Balak to curse Israel but when it came time to curse Israel he actually blessed Israel. Balaam explained that God commanded him to bless and he could not reverse that. God has “not observed iniquity in Jacob, nor has He seen wickedness in Israel”(Num23:20,21). The chapter went on to develop further the idea of justification and how God views us who are made righteous in Christ, and how therefore God loves to pour out his undeserved blessings on us. I am beginning to notice the use of a dominant image or life story in each chapter. For instance the mental movie, the constrictor snake, or a businessman who moved from fear to faith, or an American guy who found help in knowing how God sees him. I like it that he is using both local as well as Caucasians (with an eye to connecting to American Christians) as it shows that this message can have the same fruit across national boundaries and cultures. When I read Chapter 6, I thought, I must digest this and share this with the church. Its a beautiful “shadow” that points us to the amazing work of justification and its implications. Traditional teaching on justification falls shy of talking about how God will bless and favor us as a fruit of justification. They will focus on the spiritual blessings as in Romans 5. Prince boldly talks about material blessings though not in this chapter but elsewhere. Conservative interpretation of the Old Testament also does not allow for the use of typology when the event, person, object or colour is not so used in the same way in the New Testament. Thus since Balaam and the story of Israel, and the high priestly breast-piece, used as “shadows”pointing to the real blessings of justification was never mentioned in such a connection in the New Testament, it is not permissible to interpret the OT text in this way. I am less conservative with regards to this, and there are scholars along a spectrum on this issue. To me, such typology should be permissible. However, the text must not be artificially contorted beyond recognition and reason. It should not contradict any of the major Bible doctrines that are made clear elsewhere. Lastly, it brings out the loveliness of Jesus finished work and not shed light on some insignificant subject. If it sheds light on the overall redemptive theme of the whole Bible and I give it my thumbs up. There are seven parts to this book and I hope to post my reflections on them a part at a time. 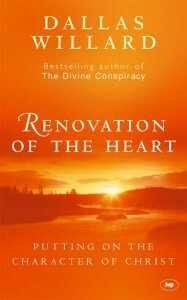 This book was written to help people with fears, guilt, and addictions. Prince is convinced that the difference between those who were set free and those who were not, is simply right believing. What You Believe is Powerful (chapter 1): Wrong beliefs keep you imprisoned but the truth sets you free. The truth that sets you free is the gospel of grace which when believed will uproot all your wrong beliefs. The God Who Seeks the Shunned (chapter 2): God is not after you for your mistakes and failings and sins. People will shun you like the village shunned the Samaritan woman, but Jesus would seek you out. Uproot common misconceptions about God’s attitude towards those who fail him. Know and believe He abounds in mercy and love and your life will change. “Jesus Loves Me This I Know” (chapter 3): God’s love for us is unconditional. He forgives us completely; He justifies the ungodly; and loves the sinner. It’s not about how much you love Him but about how much He loves you. 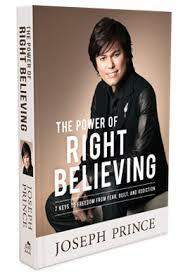 Joseph Prince’s book is very readable. I like the easy to read typo and spacing. The chapters are probably adaptations and edited versions of his sermons. They bear some characteristics of sermons. They speak directly to you in a conversational tone. Sometimes there is the occasional detour and the repetition of ideas in different words. It’s also inspirational and declaratory. What resonates for me was the mention of how we often have mere head knowledge of the vastness of God’s love for us but when a crisis hits our lack of real belief and knowledge is betrayed by our great fears, anxiety and guilt. On reflection I realize these moments when we see a gap between what we believe about God and how we react or behave are opportunities for the Spirit to write on the tablets of our hearts His personal love letter. 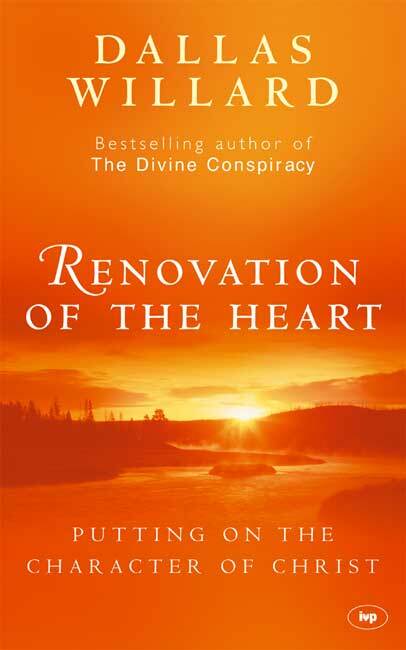 Through such experiences what we know in the head percolates to the heart. From reviewing the first part, I can understand why he keeps preaching the rich theme of God’s grace over and over. For one there are always new people in the audience who need to hear it many times in different ways before it uproots their wrong concepts about God. Second, the whole Bible has a rich deep vein of inexhaustible grace to be mined and surfaced for the people to draw from. Third, faith is not built over a Sunday and often when we are facing a challenge we need to be reminded again and again to look to the God of grace and unconditional love.